1. Dual 50mm drivers provide a really crisp & rich sound. 2. Strong bass, crystal clear audio perfectly suits gamers. 3. Suspension-style headband is particularly designed for long-time comfort. 4. Memory foam ear cups fit ergonomically around your ears. 5. The static mic switch is on the microphone,for prompt & convenient adjustion. -- All Nubwo gaming headphones are well-packaged, always arrive in perfect condition. 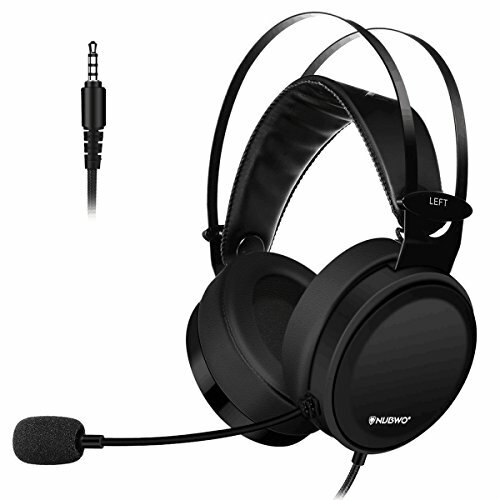 -- No driver installation required, this gaming headset is intended for instant use and enjoyment after being unboxed.